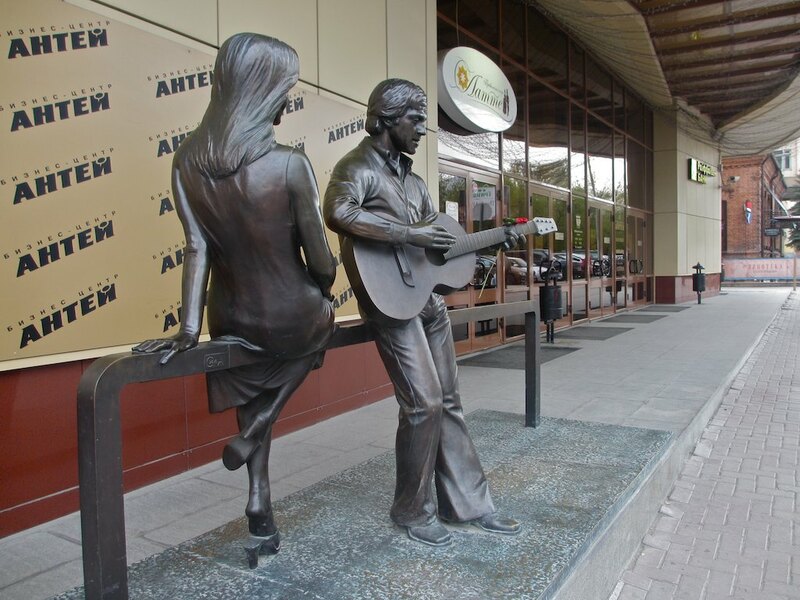 Vladimir Vysotsky and Marina Vlady, Yekaterinburg, in front of the Antei shopping and entertainment center on Krasnoarmeiskaya Street. 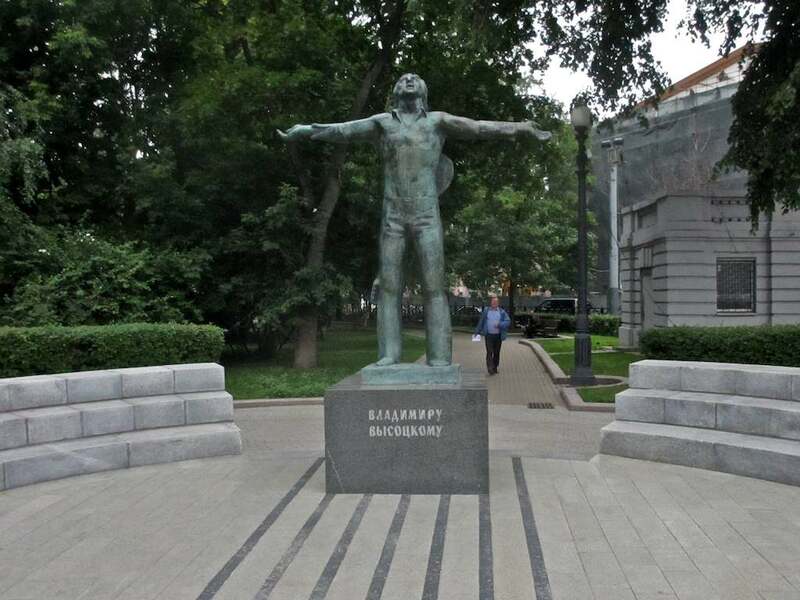 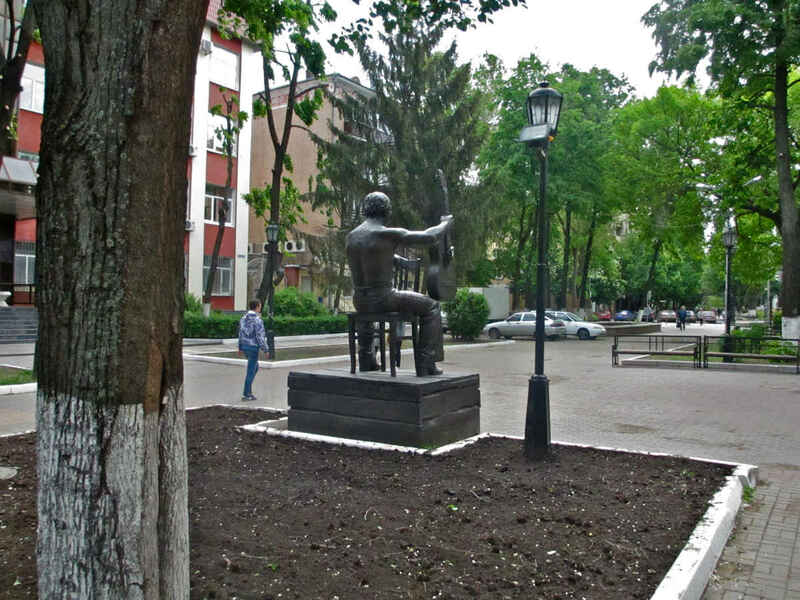 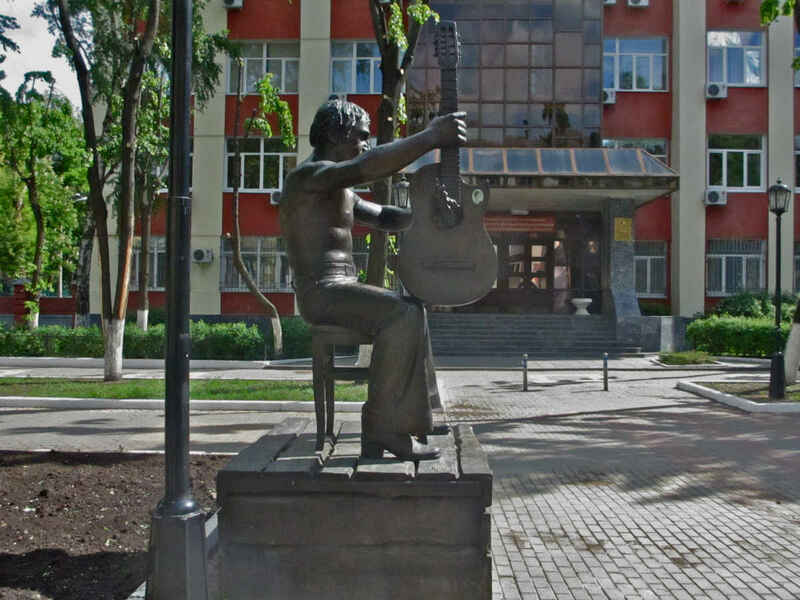 Located between Malyshev Street and Lenin Prospect, it’s not far from an old hotel where the actor and singer used to stay when he would come to town for concerts. 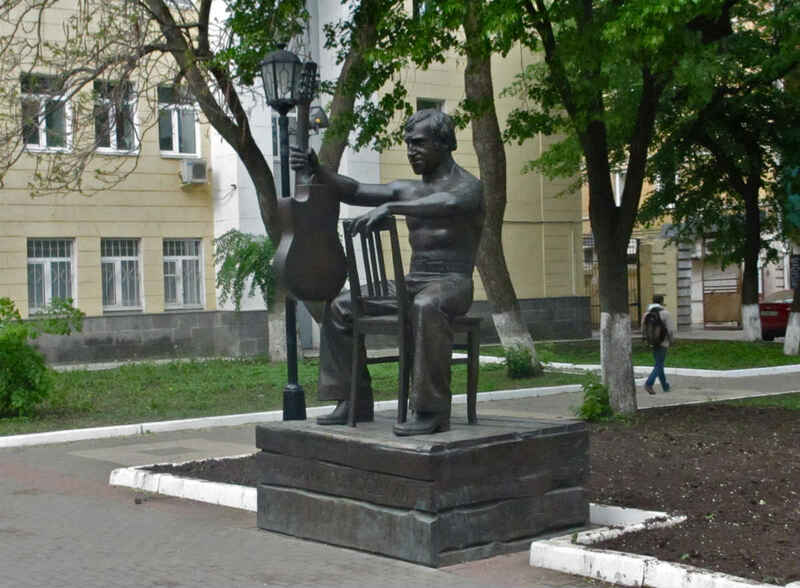 I can’t imagine this making anyone’s list of favorite monuments. 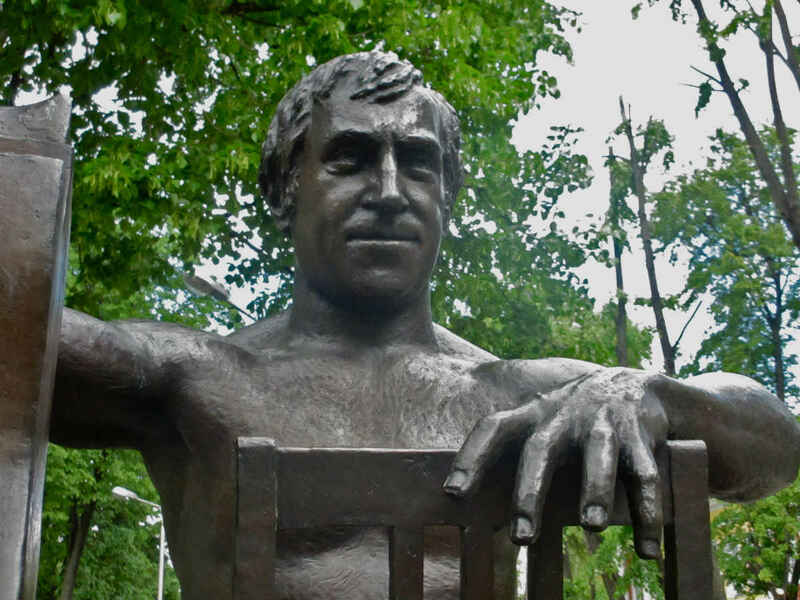 It is so slick it is shiny and I rather doubt that either Vysotsky or Vlady ever wore the saccharine smiles they have been given here. 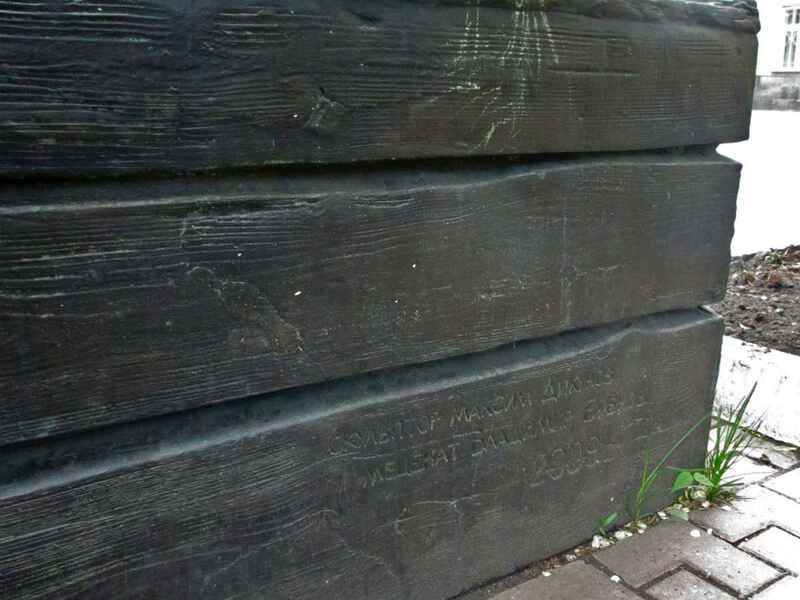 They sit rather weirdly on a kind of fence post that is shoved up against the building in such a way that allows, even encourages, most of the people passing by to ignore them. 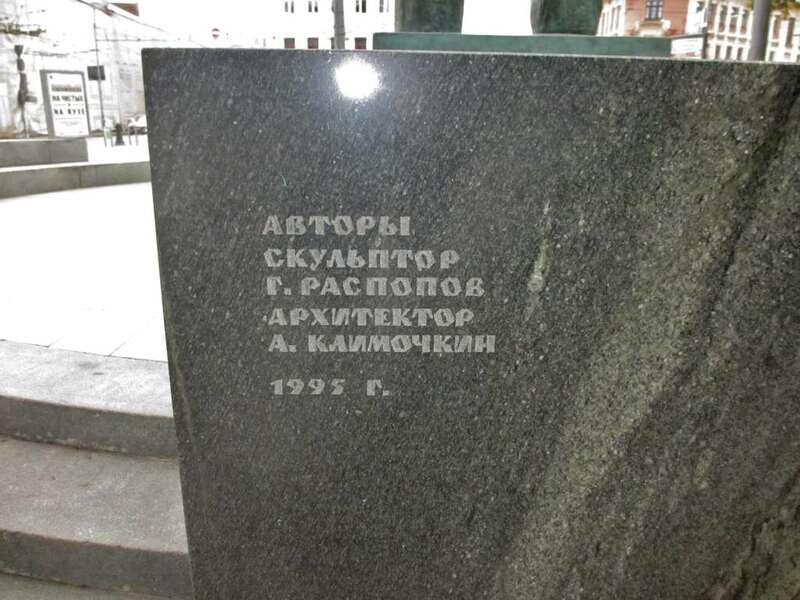 The author of the “idea” for the monument is listed as Andrei Gavrilovsky. 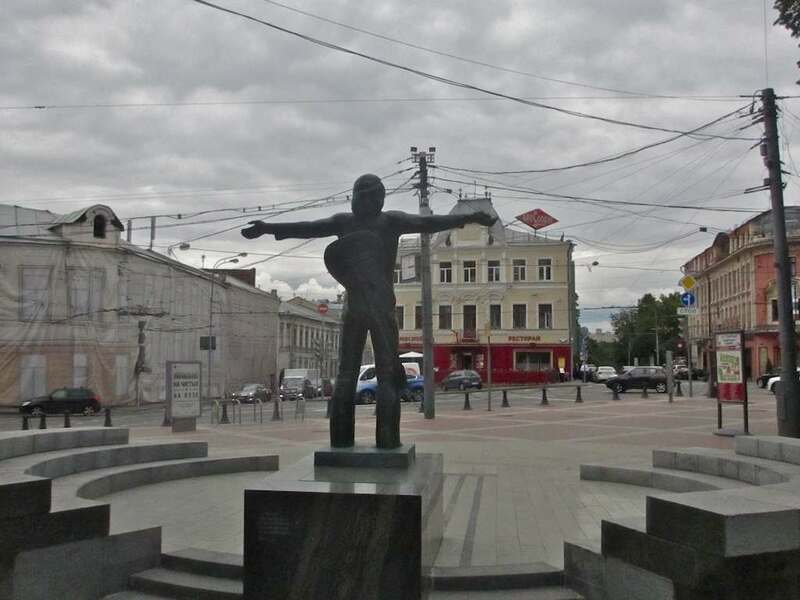 The “architect and author of the project” is listed as Alexander Silnitsky. 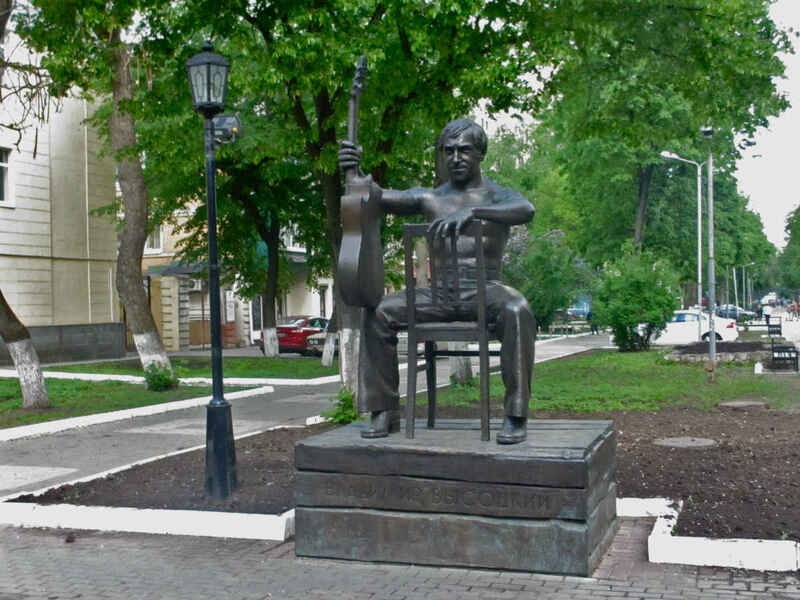 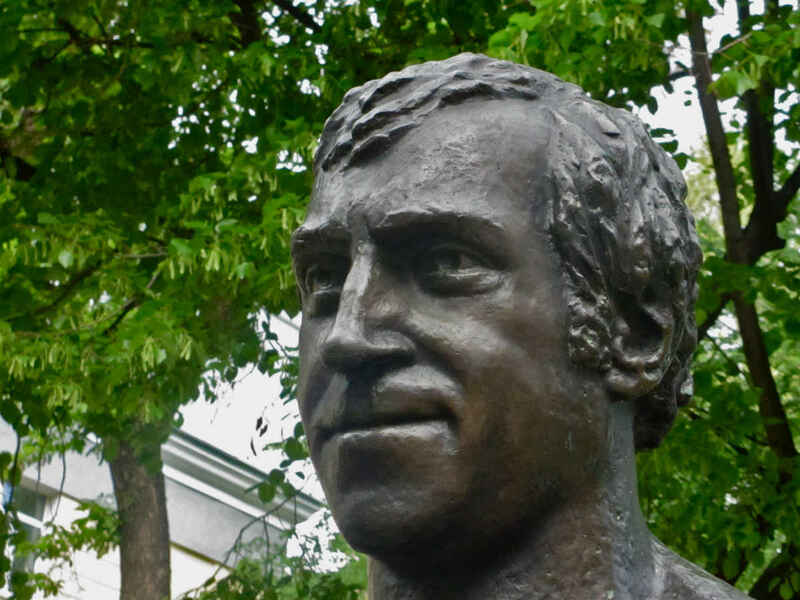 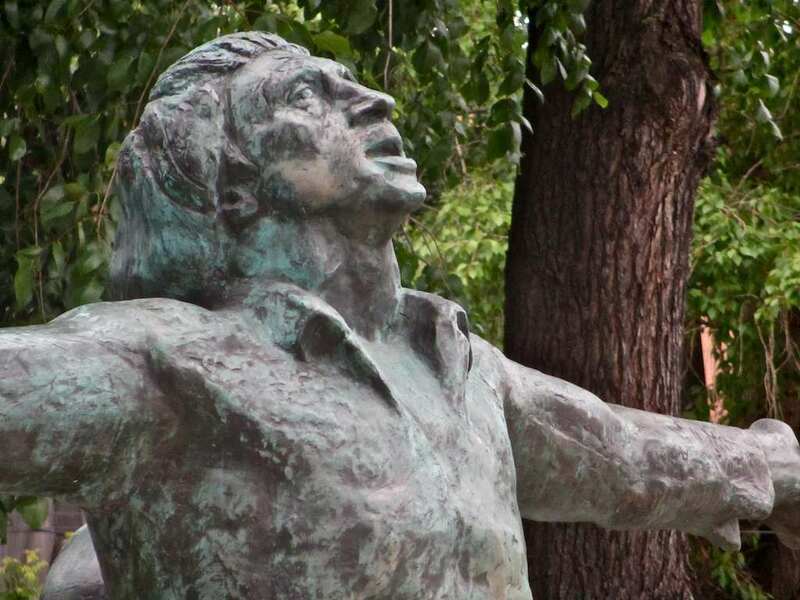 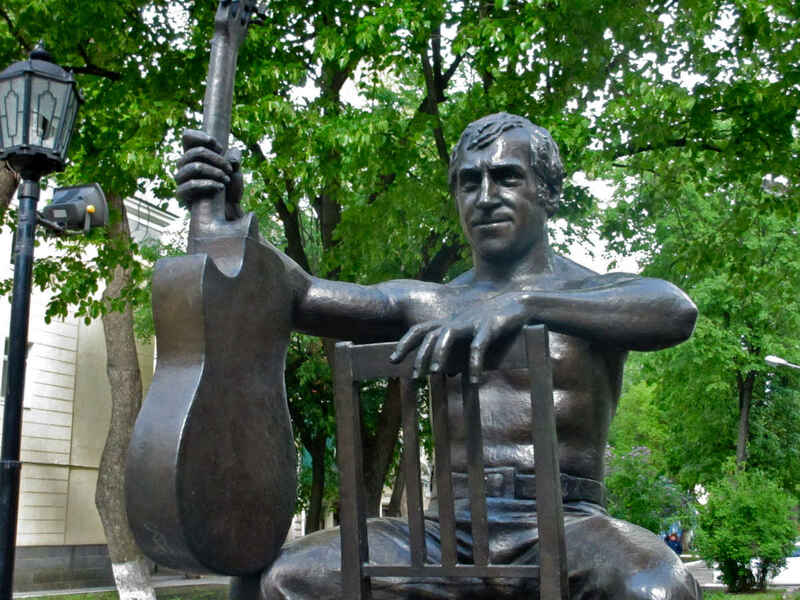 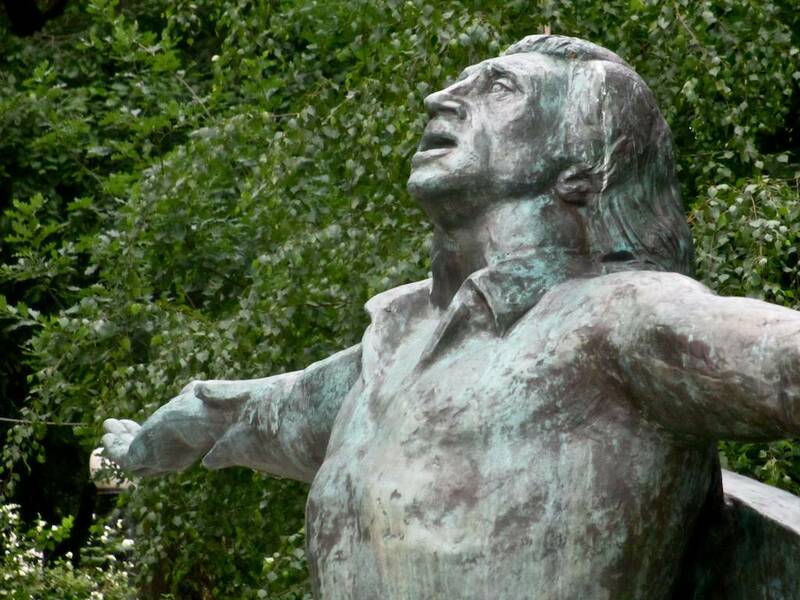 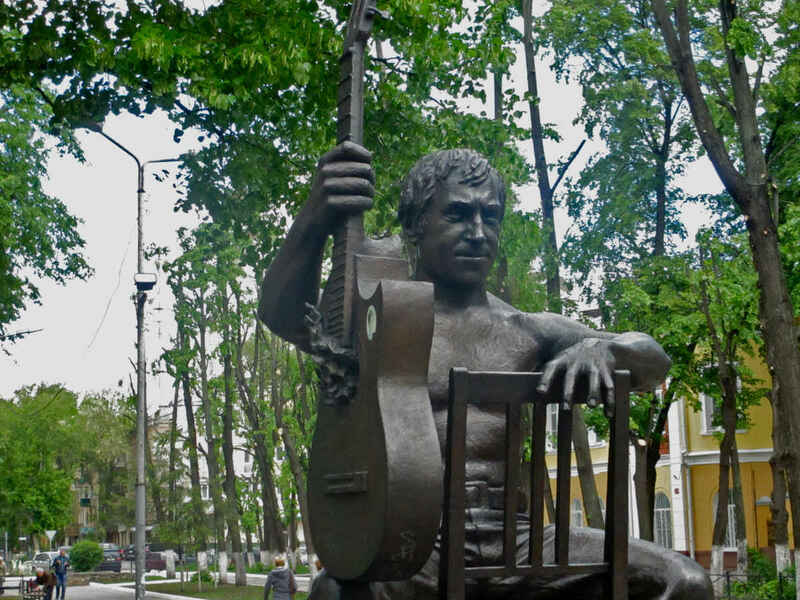 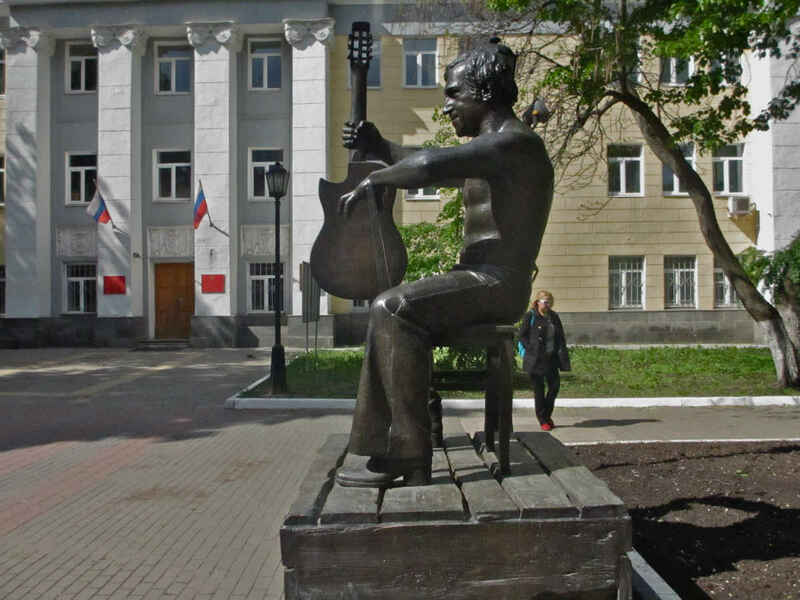 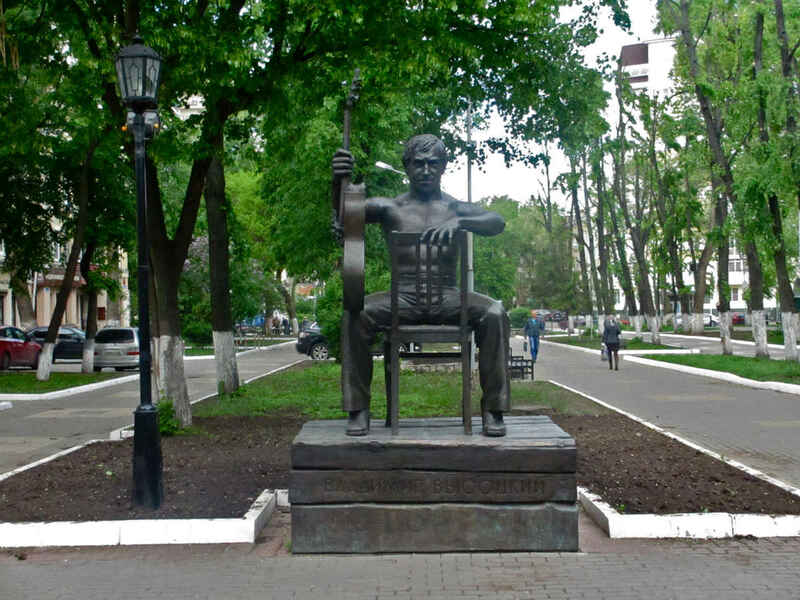 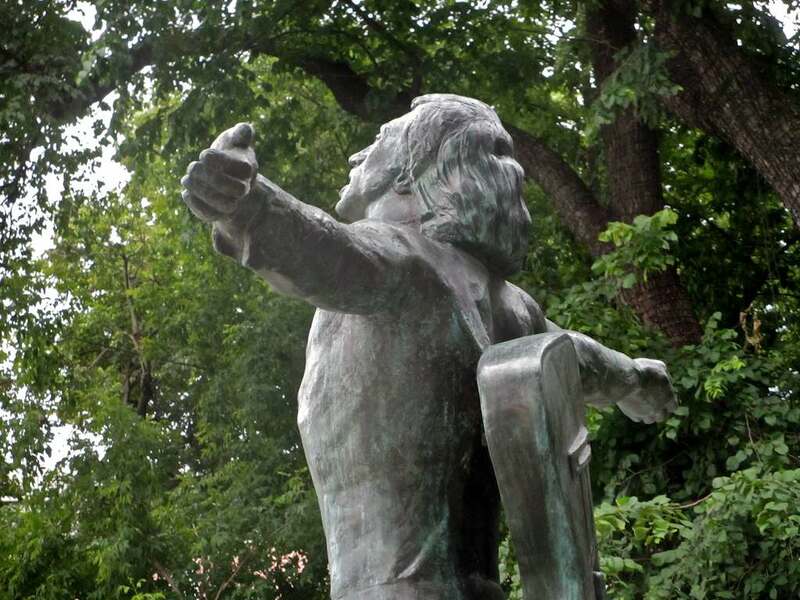 You will notice that Gavrilovsky and Silnitsky agreed to show Vysotsky playing a seven-string guitar, also known as a Russian or Gypsy guitar, according to an unofficial Vladimir Vysotsky website. 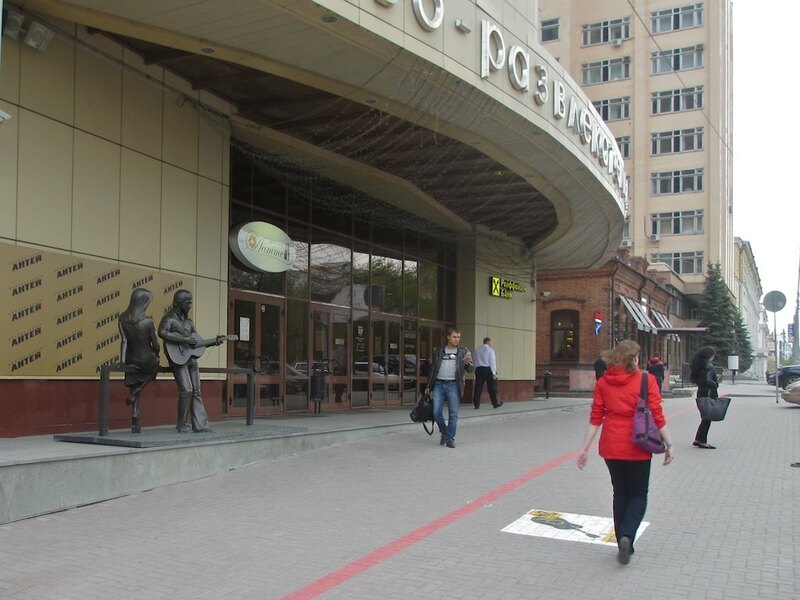 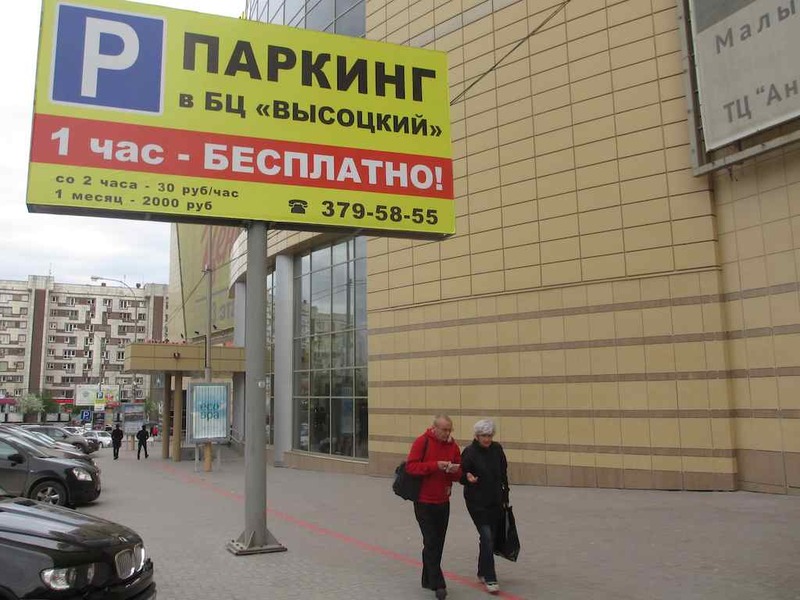 Looming large at a short distance behind Marina Vlady’s back is a huge sign advertising one hour free parking beneath the Vysotsky Business Center. 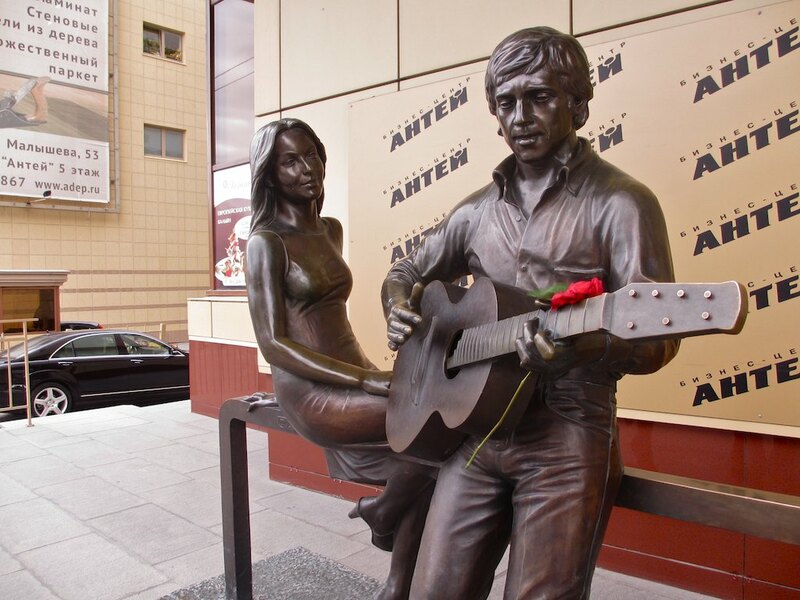 And yet, there you have it – a monument commemorating the great actor and bard and his love, the famous French actress of Russian descent, who once said, “I carry a French passport, but I am Russian.” I don’t believe there’s another one of the two together anywhere in the world.